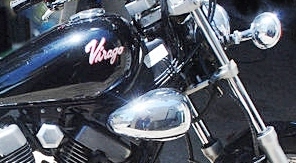 For all you Yamaha Virago 250 fans out there, did you ever notice that the old Yamaha logo would make a good holiday ornament? The Kymco Venox 250 has dual overhead cams, eight valves, twin carburetors, water cooling, and weighs 445 pounds wet. Run your mouse over each picture to see a description. Click on each picture to make larger. On some computers, you can make the picture even larger or smaller by moving the page up/down wheel on your mouse while holding the “Ctrl” key. 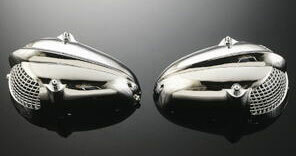 I usually focus on 250cc v-twins, but here is a cool picture that is not a v-twin – it is 250cc, though. 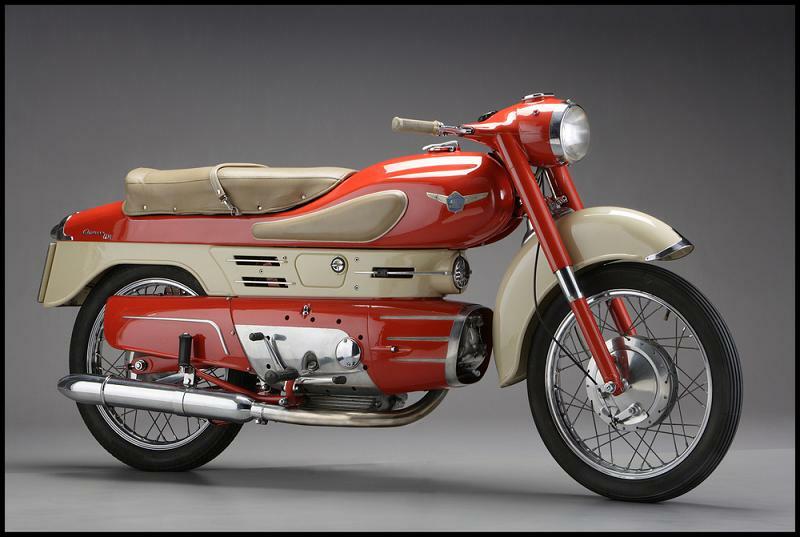 The Aermacchi Chimera 250cc was produced from 1958 to 1964, and was used in racing. It had a 4-speed transmission, and the early models had a top speed of over 110 km/h or 68 mph. The engine was a single cylinder OHV producing 22 bhp at 8,000 rpm in 1960. The power increased to 28 bhp in 1962 and, after three years, it was increased to 30 bhp at 10,000 rpm. In the 1960’s, Harley-Davidson acquired 50% of Aermacchi stock. I never heard of these before (the picture on the left). 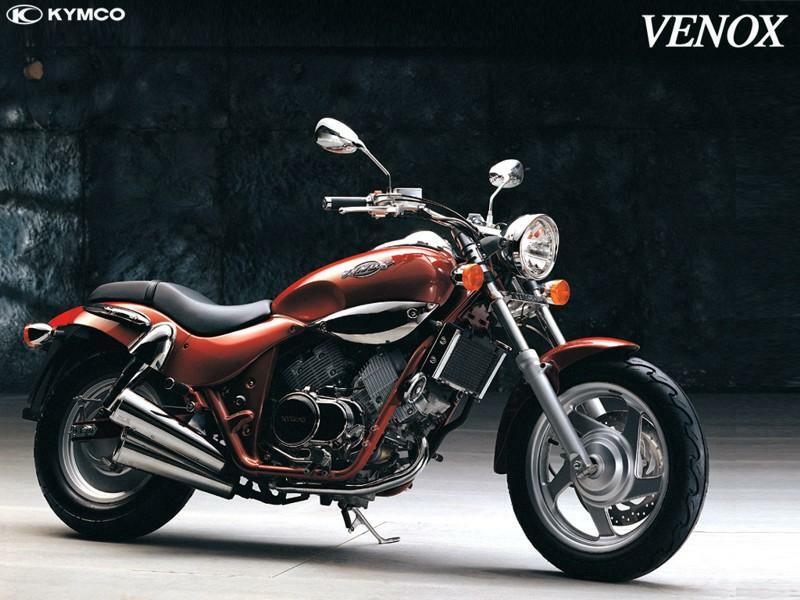 This might be a great idea because it can make your Yamaha Virago 250 look a little different from the rest. I am going to try to add some small vents or velocity stacks to the stock air filter housings (the picture on the right) to see how it comes out. I never heard of these before, either (the picture below.) 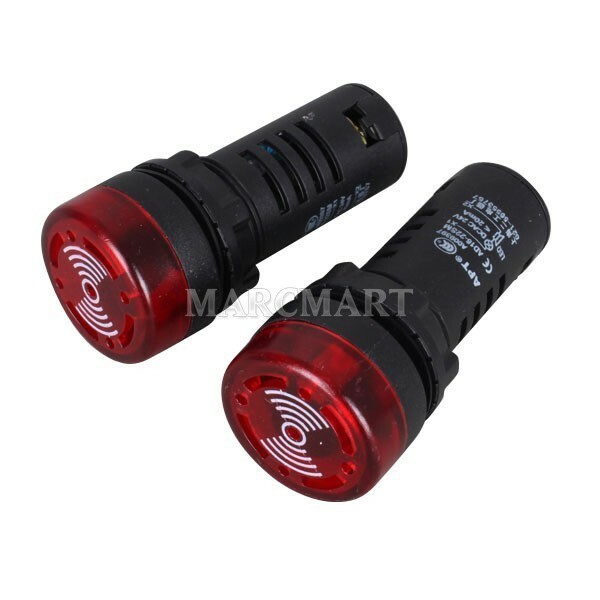 It is a 12 volt LED indicator light with a buzzer – you could connect these to get an audible signal when you use your turn signals. Last summer, I put two regular LED bulbs up high on the inside of my windshield, and I still forget to turn off the turn signals sometime. update 1/28/12 – I bought two of these – I paid less than $2.00 for the pair including shipping. The buzzer part sounds good and you can hear it fine at low speeds. At 35 mph sometimes you can hear it and sometimes you can’t – it depends on the wind and how loud your bike is. The sound is more pleasing than you would think coming from something called a “buzzer”. If you have a small bike like the Yamaha Virago 250 (usually small bikes have only a modest alternator output) there is another benefit – at idle the buzzer’s volume is reduced. So with your engine at idle at a light with your signals “on”, the buzzer/light will not be too loud so as to bother people, and once the light changes, as you accelerate, the buzzer will get louder. This works great, as you don’t need to hear the buzzer while sitting at a traffic light – you need to hear it after the light has changed and you are under way again. Hope everyone has a Happy Holidays ! -Les S.
This entry was posted in Motorcycles and tagged Holiday motorcycle, leave turn signals on, Virago 250, Virago 250 Air Filter, Virago 250 Air Filter mods, Virago 250 mods. Bookmark the permalink.